The winner of more awards than any editorial writer in the Albany Times Union's history, Jim McGrath was both an Albany institution and a keen observer of the world beyond his beloved adopted city. When he died in 2013 at the age of fifty-six, the newspaper lost a writer who combined a passionate advocacy for society's most vulnerable people with a scathing disregard for the elite whose actions created an underclass in the United States. His writing was often elegiac, but his take on his adopted home state of New York and his beloved Albany was variously bemused, witty, irreverent, and indignant. He could relate to the plight of the minimum-wage worker as easily as he could talk to a US senator, and he feared no one. His editorials and commentaries charted many of the most critical issues in New York and the country: the death penalty, civil liberties, gay rights, historic presidential campaigns, the economy, terrorism, and more--all with an incisiveness that remains relevant, if not more so, in the present political era. 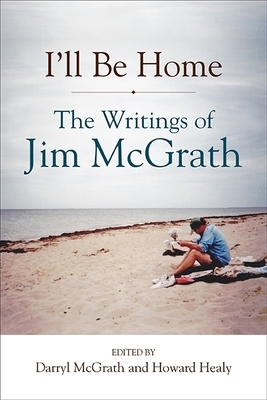 In addition to his editorials and op-eds, I'll Be Home contains essays, critiques, and other writings that have never before been published, as well as appraisals of his work and life by former colleagues Rex Smith, Fred LeBrun, Dan Lynch, and others. The book is both a tribute to a memorable newspaperman and an insider's perspective on politics and life through the lens of an editorial writer, a position that Jim described as "a great seat at a really weird show. Jim McGrath was chief editorial writer at the Albany Times Union. He was named the Hearst Editorial Writer of the Year several times, and also received numerous first- and second-place awards by the New York State Associated Press Association, and two first-place awards by the New York Newspaper Publishers Association.His widow, Darryl McGrath, is an Albany journalist and the author of Flight Paths: A Field Journal of Hope, Heartbreak, and Miracles with New York's Bird People, also published by SUNY Press.Howard Healy is a copyeditor and proofreader for the New York State Bar Association; he retired as editorial page editor of the Times Union in 2008.